After years of paying insurance premiums on time, you may find it shocking to have your personal injury claim denied by your insurer. Unfortunately, the insurance industry is a business like any other and the model is to make profits, even at the cost of the client. At Millin & Millin we know that insurance companies deny claims and coverages in hopes that the denial will not be challenged. Going up against a large company can seem like a daunting task, but our experience team of bad faith insurance lawyers understand how this industry works, and the tactics they use to try and deny a claim on bad faith grounds. Insurance companies will try to deny coverage for injured individuals based on a number of factors. One of these methods by which your insurer may try to deny you is through the results they obtain from an Independent Medical Examination (IME). But be aware—just because this examination is called independent doesn’t mean it is. IMEs are typically requested by your insurance company, or employer, to help determine the extent of your injury. These examinations are meant to uncover falsified claims by individuals who are misrepresenting their injuries. This is of course an ideal scenario. The reality is that insurance companies have the power to hire the doctor who will be giving the IME. A doctor who is being paid by the insurance company has a higher likelihood of providing reports and results that will provide the insurer with the results that are favorable to them. These are the sorts of doctors who are typically hired. This is especially true in the context of long-term disability claims. However, in these sorts of claims, the examinations are no longer called independent, but rather known as Evaluative Medical Examinations. Who determines the IME policy? As a claimant, it is vital that you are aware of the specific provisions noted in your policy. The scope of your responsibility concerning having an IME may vary as per insurer. A New York Times article examined the role of IME doctors and their relationship with the insurance companies that hire them. A review of case files and medical files, as well as interviews with participants, found that IME reports were routinely titled to benefit insurers by minimizing or dismissing injuries. In one instance noted in the article, an independent examiner known as Dr. Samuels, examined a driver for a plumbing company who had fallen and injured his back, shoulder, and ribs. During the examination, the doctor could be heard calling out test results that seemed to validate the injury – his words even captured on videotape. However, when it came time to write the IME report, Dr. Samuels had cleared the driver for work and essentially contradicted his initial findings by claiming that the patient had no injury. If you have an own-occupation policy, make sure that the doctor performing the evaluation is aware of your job duties—both physical and mental demands. This will help to ensure that the doctor is determining if you are limited in or prevented from performing these responsibilities. Make sure that the physician providing the examination has all of your medical records on hand, as well as objective evaluations that detail the deterioration of your condition. It’s also important that the doctor chosen for the IME is specialized in the area where you have an injury. Consider obtaining a qualified lawyer who can help you obtain information about the doctor beforehand. 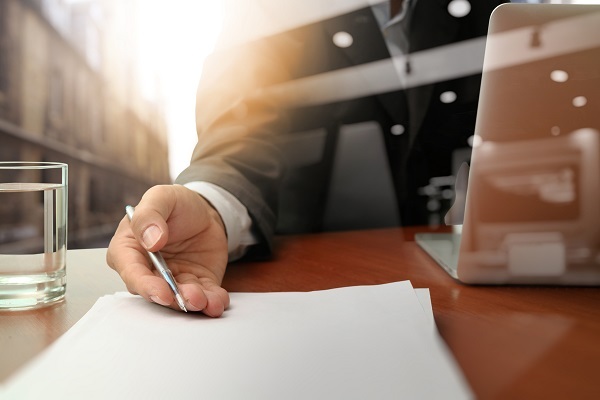 Insurance companies will often hire disreputable independent examiners and there may be information available through various legal searches, internet searches, and shared information networks that can help you to know what you are dealing with. Don’t let an Independent Medical Examination get in the way of your rights and just due. The bad faith attorneys of Millin & Millin can help. Sadly, insurance companies may make it difficult for you to obtain the compensation you deserve. With shady doctors on their side, it can be a daunting experiencing to deal with. At Millin & Millin, our job is to fight for you when your insurance claim has been illegitimately denied. Our experienced bad faith attorneys know just how to make insurance companies pay for their wrongful conduct. We can make them pay your claim, attorney’s fees, and other punitive damages. Contact us today at (956) 631-5600 for a free case evaluation.